Since I’ve already taught all of this information, I don’t really feel like teaching it again. I put my students in charge of their own learning, making sure they understand that if they can teach somebody else something they are that much closer to mastering it. 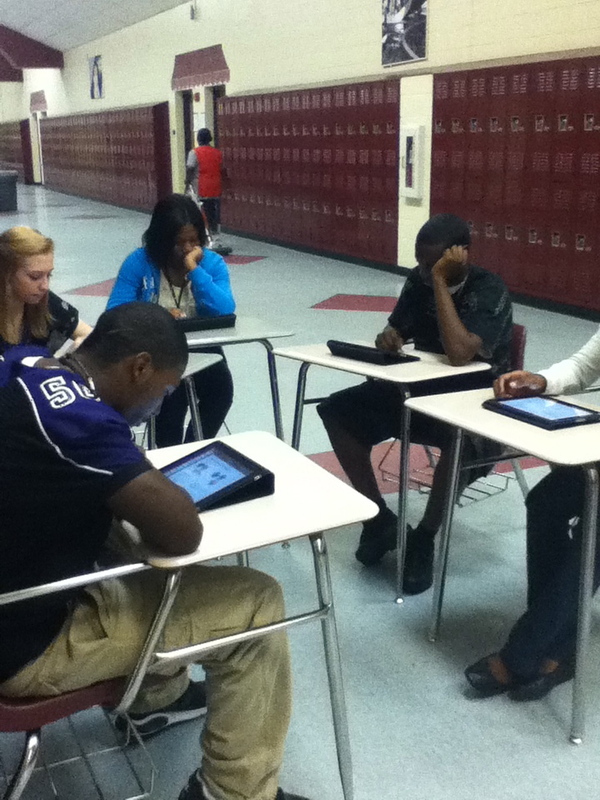 This year I decided to allow the students to create their lessons using the iPads and Keynote. I’ve used the iPods a lot, but having only 5 iPads doesn’t allow me to use them very often. Based on the pre-test and discussions with students, I made a list of review groups. For my French 3 class, these were 1) useful vocab, present -ir & -re verbs and faire; 2) object pronouns; 3) passé composé & imparfait and present tense avoir & être; 4) futur proche & passé récent, reflexive verbs and present tense aller & venir. I randomly drew students names and allowed them to sign up for their desired group. Groups were capped at 6 people (for my large French 2 class) but most groups but most groups had 4-5. After the groups were figured out, I asked students to choose a job. All the students were responsible for finding the information for the presentation (using the textbooks, dictionaries, online textbook and any other sources they wanted). I promoted google docs for collaboration, but its awesomeness doesn’t always sink in. 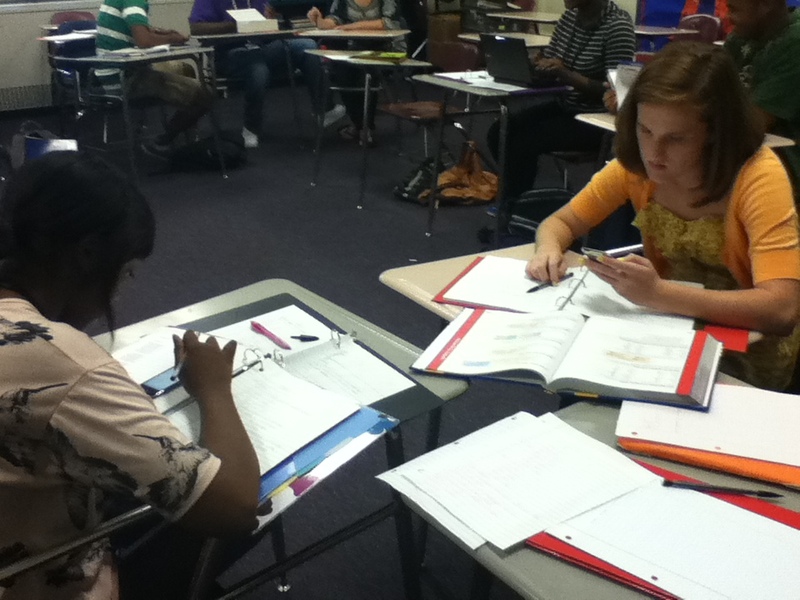 One to two students were in charge of finding the correct answers for a section of the pre-test. A couple other students (2-3) started creating activities for the class to do after learning about their topic. In order to help them create engaging activities so that the class could use the learned information, we had a class discussion about what type of activities they would be interested in. They were most interested in activities that got them up and moving and involved video. I have lots of kinesthetic and visual learners! Lastly, one person was in charge of creating the Keynote slide show for their lesson. 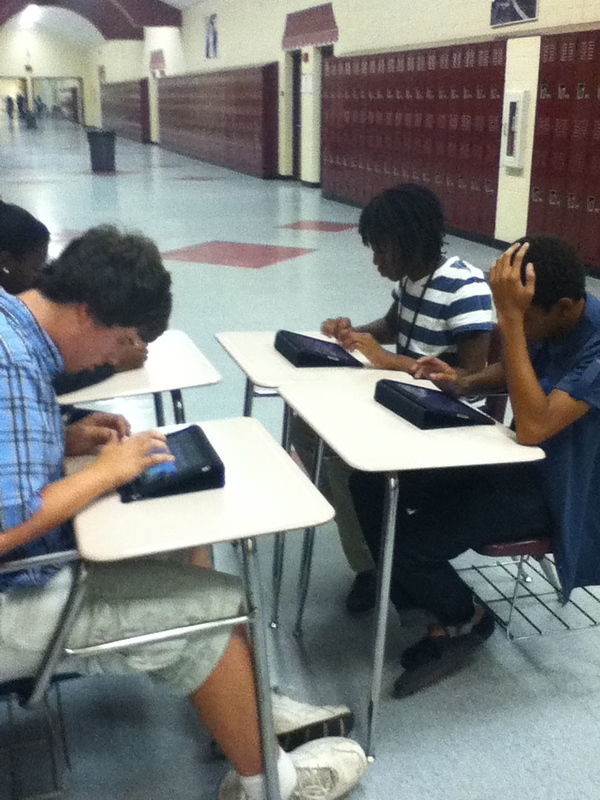 I asked that this person be tech savvy but I did not tell them that they would be using the iPads. 😉 I took these students out in the hallway, gave each an iPad and had them walk themselves through the tutorial provided when you purchase Keynote. Then I had them create their own presentation to mess around with. 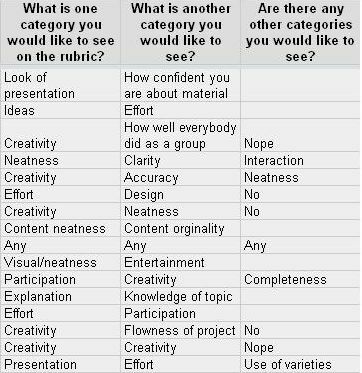 The next day, after I allowed them to get started, we created the rubric together. I told them that there were two non-negotiable criteria for the rubric – depth of content and accuracy of content. 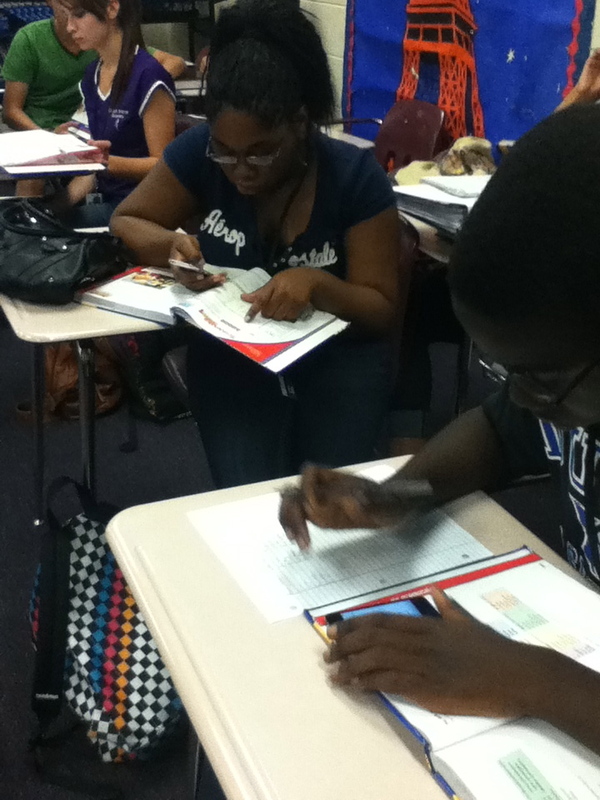 Then I had them complete an anonymous google form to gather information from them. As you can see, many of them had similar ideas. These similarities appeared not only within the same classes, but across classes and levels. This is our final rubric. Lastly, I asked them who they thought should grade each portion of the rubric. With a little bit of guiding from me (only a little! ), all classes decided that I should grade on both of the content criteria but that all students should have some say in how creative & original the lesson was and how engaging and educational the activity was. They also decided that the group members should decide on the grades of the other members of the group.